One thing that I've always wanted to instil in my children is that they can do anything or be anything that they want to do or be. Nothing should be out of bounds because it's seen for a specific gender, C will happily play with E's "stereotypical girly toys" and E loves superheroes as much as her big brother. She's even told me that when she's older, she'd love to be a firefighter or a police officer. 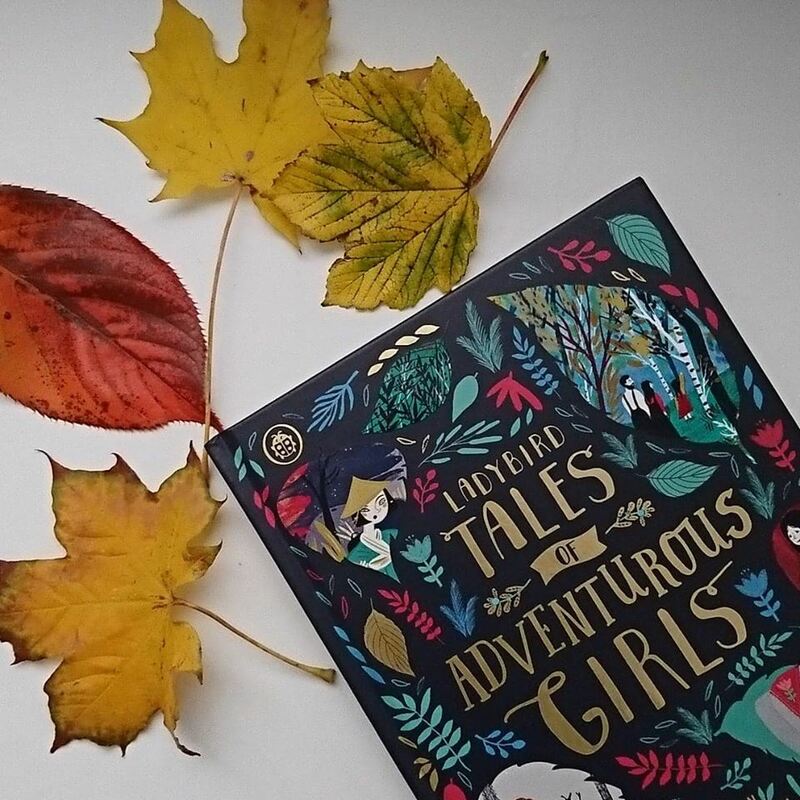 When I heard that Ladybird were publishing Tales of Adventurous Girls, I jumped at the chance to get my hands on a copy as it's something I'd like both my daughter and son to read. We aren't stuck in the 50's anymore and I want to teach them from an early age that women are just as important as men in this world. 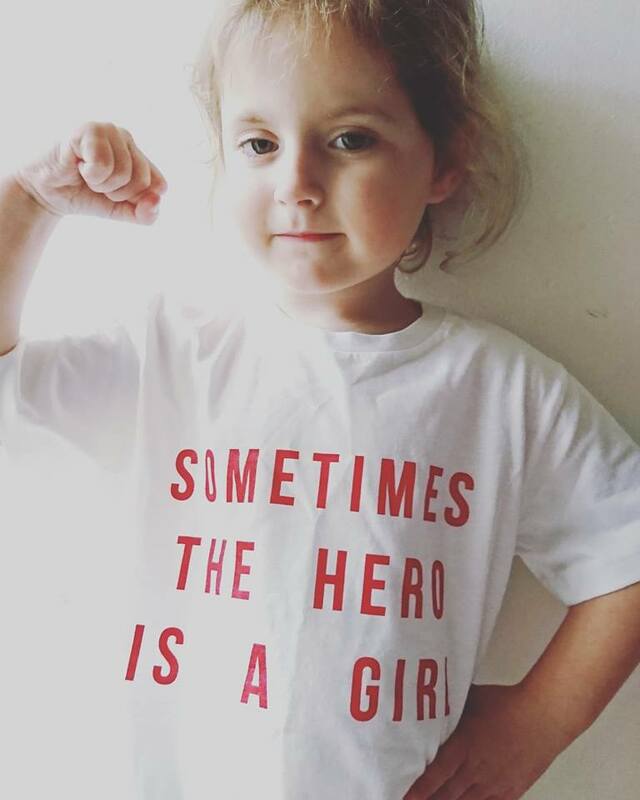 Girls can save the day too! Ladybird Tales of Adventurous Girls is comprised of six different stories; Gretel and Hansel (a huge grin appeared on my face upon realising that the Gretel's name was first for once in this popular Brothers Grimm fairytale), Tamasha and the Troll, Tokoyo and the Sea Serpent, Chandra and the Elephants, Sea Girl and the Golden Key and The Snow Queen. All of the short stories are wonderfully different, but the theme is the same throughout. The heroine. The female characters who are so inspiring and empowering. C and E are 6 and 4 and they listened silently to every word, absorbing the words and meanings. It will definitely be a book that we will read a lot. I was only familiar with Gretel and Hansel so I even enjoyed reading this myself. 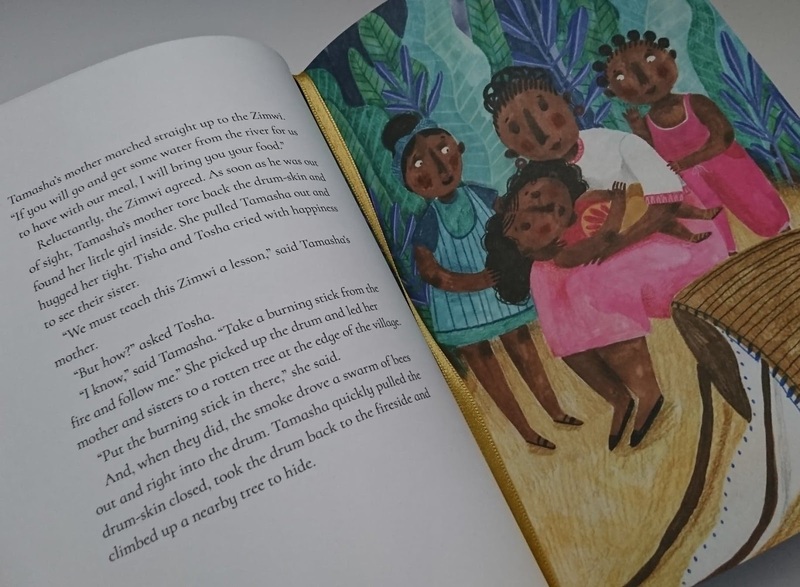 In addition to fantastic fairytales, you are taken aback by the beautiful illustrations that accompany each story, all of them being drawn by six wonderful female artists. I was particularly excited about the introduction being written by Jacqueline Wilson. I owned all of her books as child and she has always been an inspiration to me. She questions why the princesses in the typical stories always have to have a handsome prince rescue them, why can't they save themselves? E loves her Disney Princesses, I won't lie but it's been lovely to introduce her to something different and teach her that she can do anything she puts her mind to. 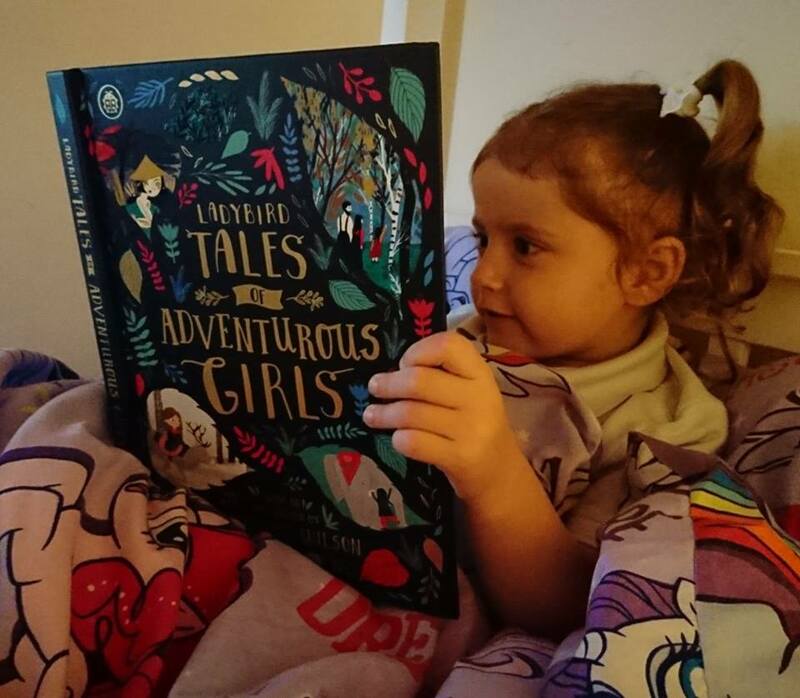 Ladybird Tales for Adventurous Girls would make a fantastic Christmas gift this year and is suited to children aged 4-8 years old. You can purchase your own copy here. At this time of the year, most of us update our wardrobes. We need warmer clothes and to start getting ourselves ready for events like Halloween, Bonfire Night and the party season. But, the one thing many of us forget to do is to buy some new lingerie from somewhere like Simply Be. A lot of us do not particularly like going shopping for lingerie. We feel a bit shy and find that having to get completely undressed to try everything on to be a bit stressful. However, you really should resist the urge not to update your underwear. It really does have a significant impact on how you look and how good you feel. If you are wearing an old bra that does not give you much support, it will be impossible to look your best. It does not matter whether you are wearing an expensive new top or a saggy old t-shirt. Old and worn underwear tends not to stay in place well. Having to constantly pull your knickers up because they keep slipping is uncomfortable and annoying. It is also nice to treat yourself and buy something that is fashionable. Right now, there are some really lovely items available in the shops. So, if it has been a while since you tried some different bra and pant cuts, now is a good time to do so. Over time, we all change shape a bit. So, it makes sense to be brave and try something new every now and again. It is the best way to discover that magic lingerie set that makes you look and feel amazing. If you want to support Breast Cancer Awareness Month you can do so in lots of different ways. Dressing in pink on 19 October is one way to do it. So, why not buy yourself some pink lingerie? That way you will literally be dressed in pink from head to toe. Currently, quite a few retailers are selling pink bras, pants, camisoles, boudoirs and slips. It is a colour that flatters most women and is light enough to be worn under most items of clothing without it showing too much. If you are not really keen on lace, but are a bit bored of plain materials, try on some tattoo print lingerie. These bold, elaborate patterns are designed to accentuate the female form as well as look interesting. They are also a great way to cover up thread veins and little patches of cellulite. This year, bodysuits are very much back in style. Again, if you have not tried one before I recommend that you do. They are not for every woman and you have to get the fit right. When you do that, you will be surprised by just how comfortable they are. Plus, a body suit provides you with another layer of clothing. They may be thin, but that does not matter because it is the air that they trap next to your skin that will help you to feel warmer. If you want help deciding if this trendy item of lingerie is for you I suggest that you read this enlightening article. If you liked this clothing related post, why not read a few more of the ones I have published, this past year. This one, which is about Christmas jumpers, is a good place to start. After all, it is never too early to start planning for that special family event. I'm sure everyone has heard of Fingerlings by now, the cute little monkeys that hang onto your finger and interact with your actions. Since the hype built up, there have been more animals added to collection (we actually reviewed a Dinosaur one a few months back and were seriously impressed) and now sees the addition of Fingerlings Hugs. 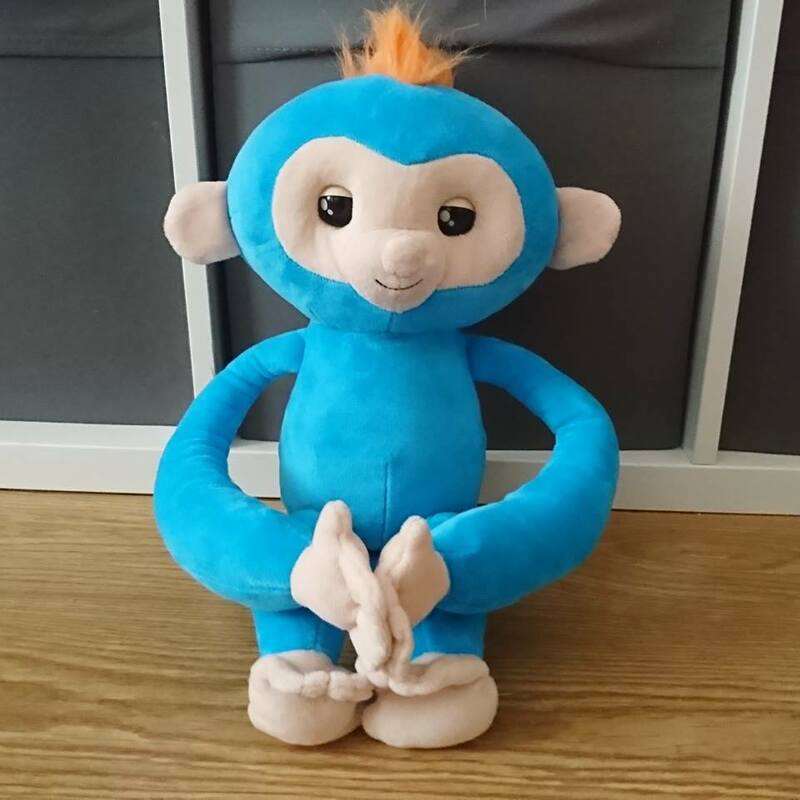 Fingerlings Hugs are big, cuddly soft toys which have the distinct Fingerlings monkey look. 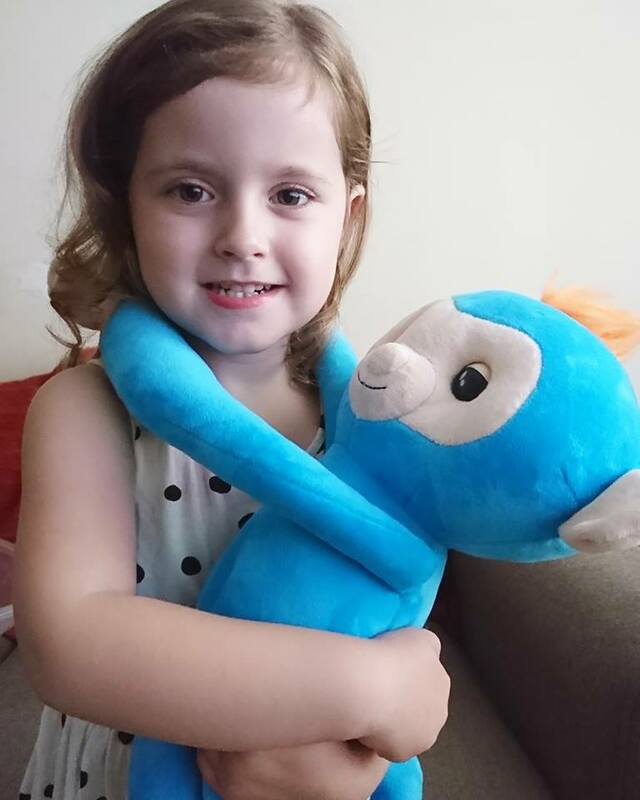 There are two different monkeys to collect; a pink one named Bella or a blue one named Boris. We were so excited to receive the latter and see how he fared against the smaller plastic Fingerlings. E was excited to get cuddling him and he is so soft so he's perfect for that task! As well as just being there for a hug, Boris is interactive so the fun doesn't stop there! Once you've switched him from 'Try Me' mode to 'ON', it's time to get playing! Throwing him in the air causes him to shriek (in a real monkey manner) as though he's really enjoying it, pressing his nose and mouth against you lets out a kissing noise - which is definitely E's favourite - and if you hold in the button on his ear and speak, he will repeat your words in his own squeaky, high pitched monkey voice. E has absolutely loved treating Boris like her own little pet and it helps that when you lie him back, he will close his eyes and go to sleep, letting out a big sigh. We have also discovered that he can *ahem* fart, which makes both children erupt in fits of giggles! Both C and E have really loved playing with Boris and E even brings him to bed for a cuddle every night! 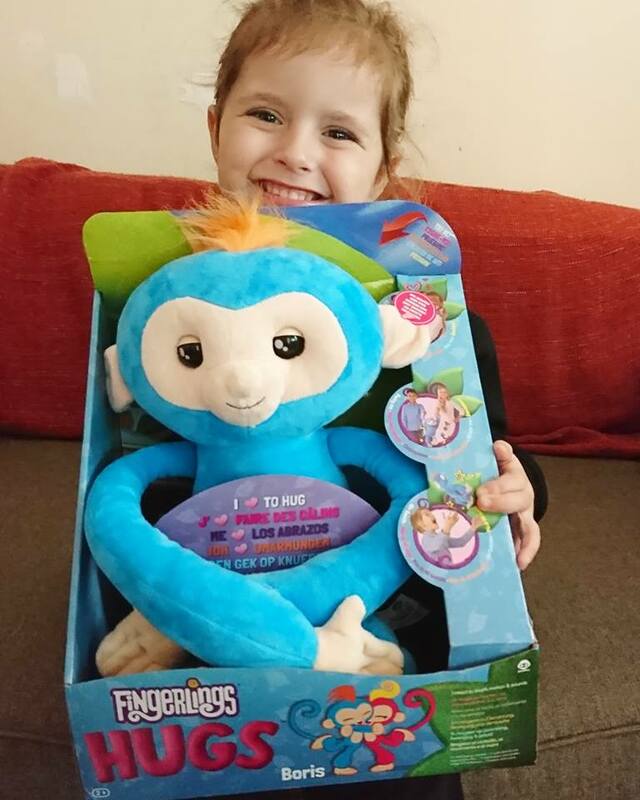 Fingerlings Hugs would make a lovely Christmas gift for children aged 2+ and I definitely think even older children would enjoy it as six year old C is pretty taken with Boris! 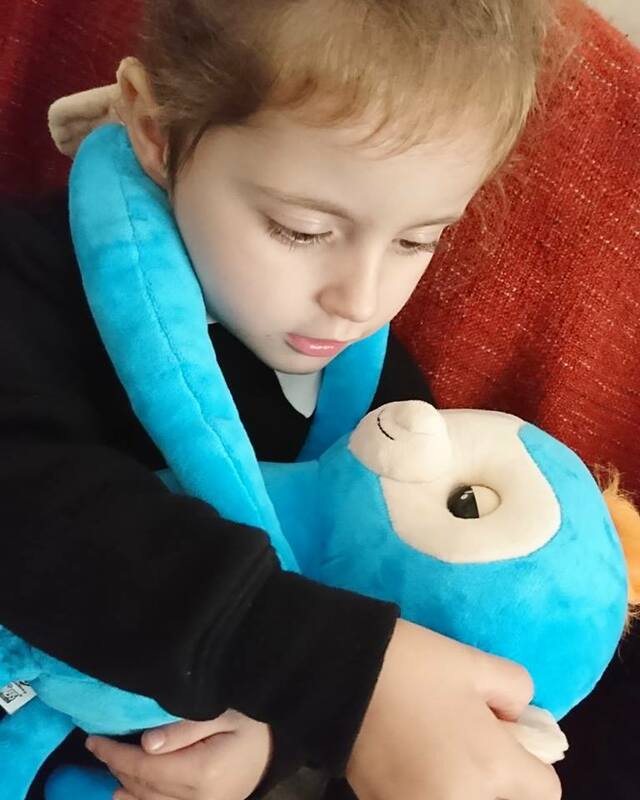 You can purchase your own Fingerlings Hugs Boris or Bella from all good toy stores including Smyths and The Entertainer for £29.99. Home decoration is a complete process that you should carry out with great care and focus. A single mistake can destroy the whole decorative effect, effort and money invested. Always buy stuff from reliable sources like if you’re buying carpets online, be sure that the store is authentic. However, people continue to make mistakes that need to be addressed. In this post, we will highlight to home owners the top home decor mistakes they should avoid at all costs. A lot of effort goes into home decoration with a lot of money as well. People who decorate their home with self-effort should understand how catastrophic fire can prove if it is not considered while making adjustments in the room and house. Never use heaters or other fire items near places where the risk of catching fire is the most. Everyone has a different choice in furniture and fabric for pillows, bed sheets, sofas and other living room items. When you assign someone to purchase fabric on your behalf, they may not return with what you were expect. This is a serious negligence that should be handled carefully. You should check the fabric before making the final purchase call. Either you should wallpaper all the walls or don’t do that at all. Using wallpapers on a single wall makes no sense leading to poor home decoration and ugly look of the room. Be careful while you select wallpapers, consider their colour that matches your taste and may give a great aesthetic view to the room and other places where used. This is for the home owners who decorate their houses on their own and make all arrangements needed. There are a lot of scammers out there. People are selling poor quality paints and decoration items. If you just buy and use the paint without testing some other places, it may be something that you regret later. Stuffing a room is never a wise option. There should be separate areas or rooms where you want to keep your items and fill that with decorative pieces or other items. A room that has a frequent use should contain just decorative items that provide a nice look to the room. Overcrowding makes a place look restricted and diverts attention of the visitors. This mistake needs to be avoided at all costs. You shouldn't use a modern theme in one room while the nearby ones are decorated with an old or classic theme. A single theme that matches with the paint colours, environment and makes you feel better should be employed for the whole building. Falling a victim to trendy styles, themes, decoration ideas, designs and concepts may not prove good for your house. You have a choice that may not match with anyone elses. So you have to be unique in what you choose and what you decide on. Be careful and listen to your heart and everything will go fine and smooth.